So I have been a bit busy, but I have finally seen Captain Tsubasa episode 2. 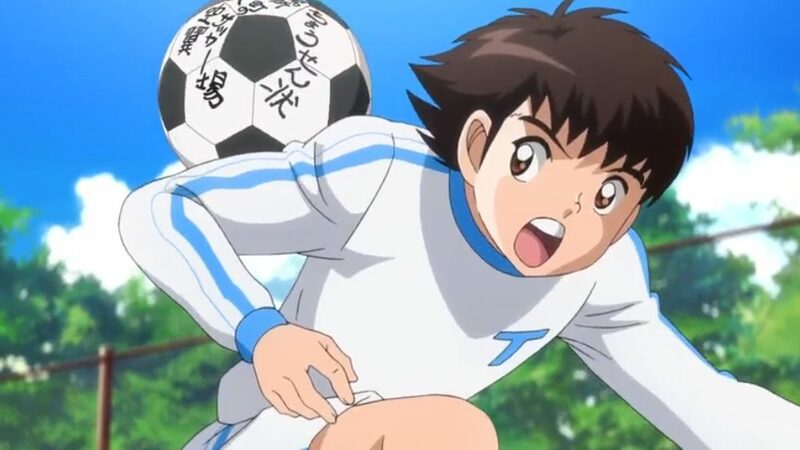 Captain Tsubasa Episode 1 left us with a bit of a cliffhanger, similar to Megalo Box, but much less hyped in my opinion. If we would compare the two anime, I would say that episode 2 will be stepping stone for very good rivalries in both. Even though they did not end or actually have any similarities. Tsubasa is a promising character, he is very good for a shounen anime. As we could see at the end of the episode when Tsubasa started practice. He would not end until he got it right, meaning there is a lot more in store for Tsubasa as we go on. In order to go against Wakabayashi, Tsubasa gets a hard challenge. He has to go against the whole B team. At first, it sounds a bit unfair. But when you think about it, it does resemble real football situation, there are often times when the forwards are alone and have to go against a lot of defenders. However, the challenge imposed on Tsubasa does not make him fret. They go to the soccer field and start the match, the guy that was with Tsubasa tried to convince him not to go. But Tsubasa could not be convinced. When they arrive Tsubasa realized he has no cleats of his own. So Wakabayashi borrowed him a pair. To be honest, I was anticipating that he would do it without them, but it was just casual conversation then. 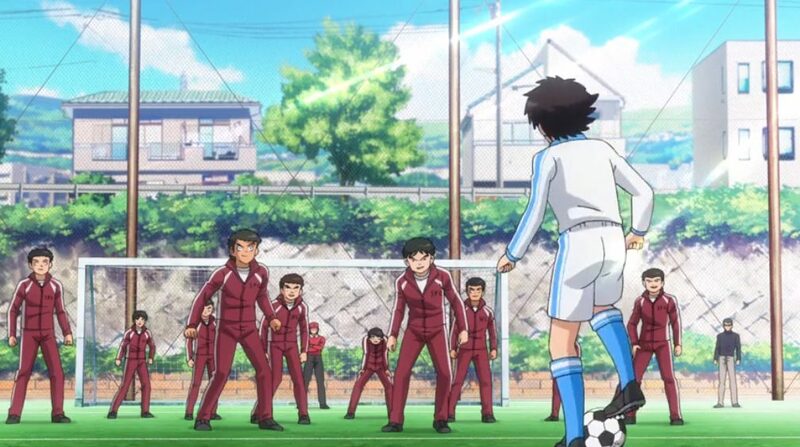 The match starts and the players try to take the ball from Tsubasa, but nothing really happens. Tsubasa quickly dribbles through them. The animation of it was nothing special, honestly expecting more from it, but all the football anime I have seen did not really have that great of an animation as compared to Haikyuu for an example. Tsubasa tries to score a goal but fails. However the ball stays in play, and some famous soccer player that’s actually a drunk passes him the ball. Tsubasa manages to score and Wakabayashi hits his head in the goal. Not a serious injury just brain dead. After that Wakabayashi did not want to admit defeat as he is a sore loser. So he challenged Tsubasa once again to fight him at the inter-school tournament. Which he enthusiastically agreed to. Captain Tsubasa episode 2 was a bit boring to watch but had left good stepping grounds for the future of this anime. Tsubasa has a good rival which will make him stronger. And Wakabayashi is just a tsundere. I do not know how long season 1 will be, or if they will make it all in one go. But I do think that we can look forward to the inter-school tournament. And I assume that Tsubasa will enroll into the opposite school of Wakabayashi. Unless they make a twist and get Tsubasa enrolled in the same school. But how things were going it did not seem to me like that would be the case. If you’re a fan of sports anime you might be excited to hear the news on Ahiru no Sora.